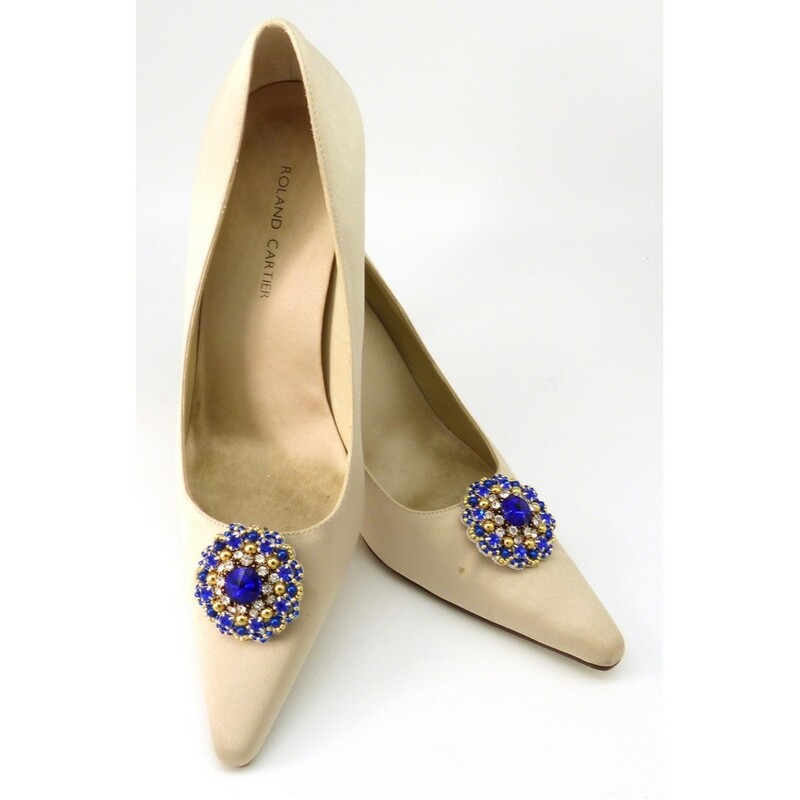 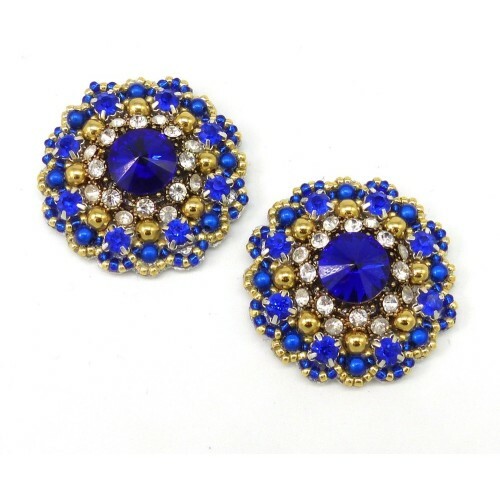 The ultimate in luxury, these Rosemary shoe clips in gold and deep blue are a wardrobe essential. 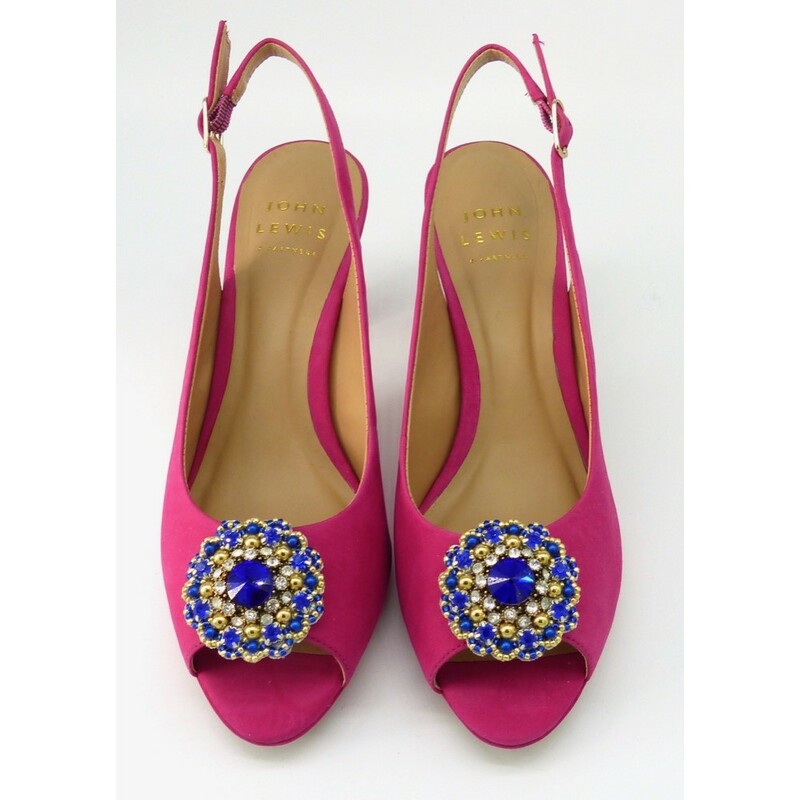 Simply clip on and wear with denim or dresses alike for fresh update to your plain shoes. Size: 45mm diameter.